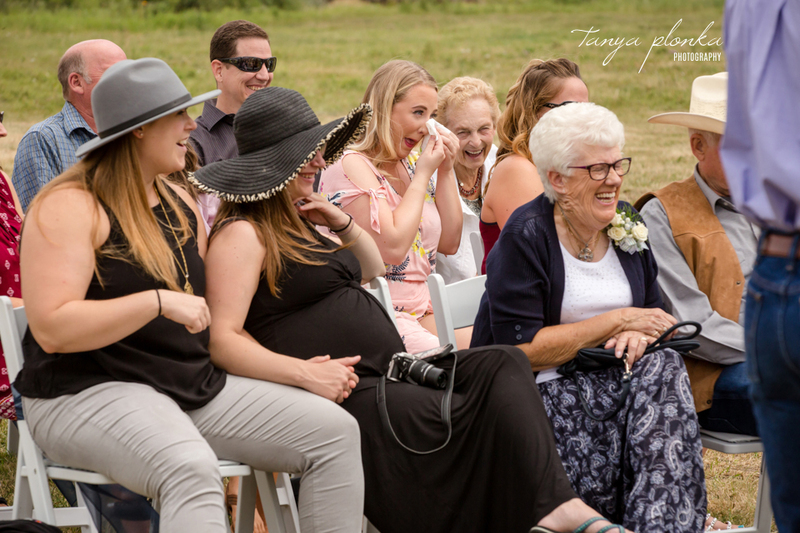 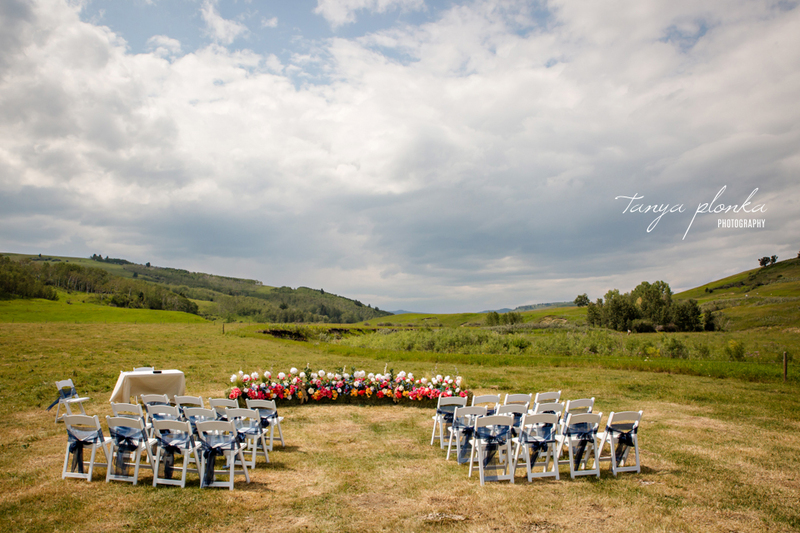 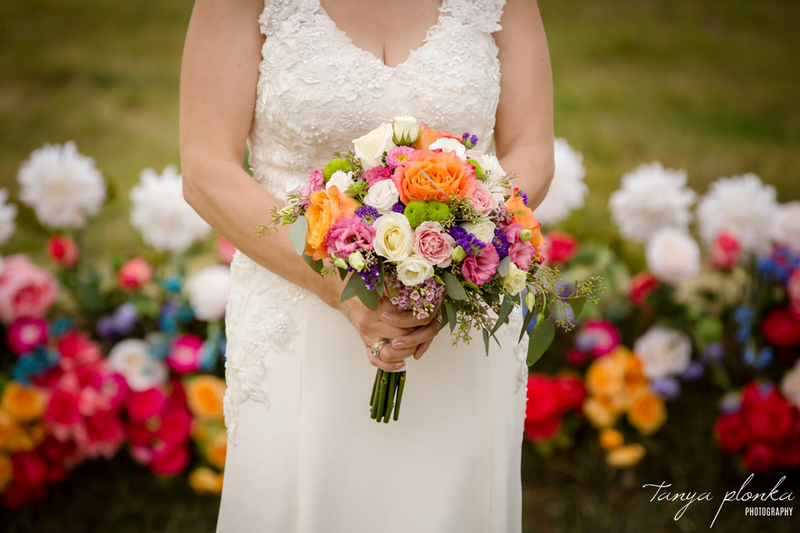 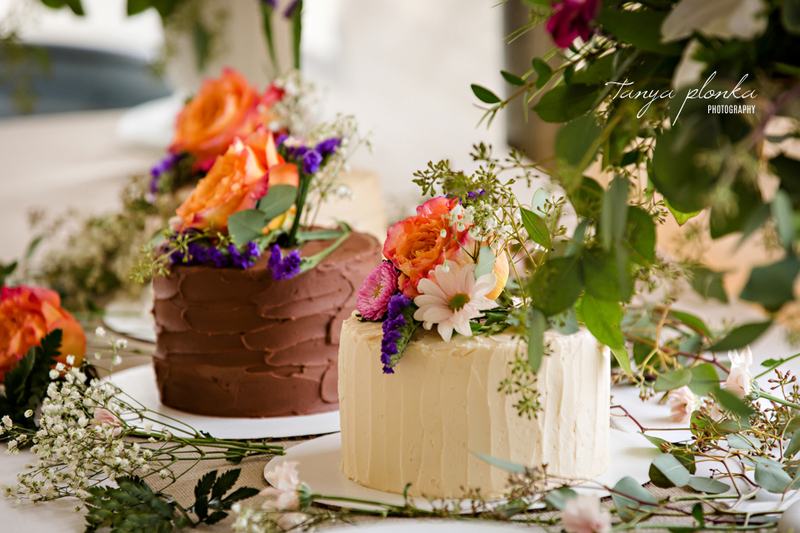 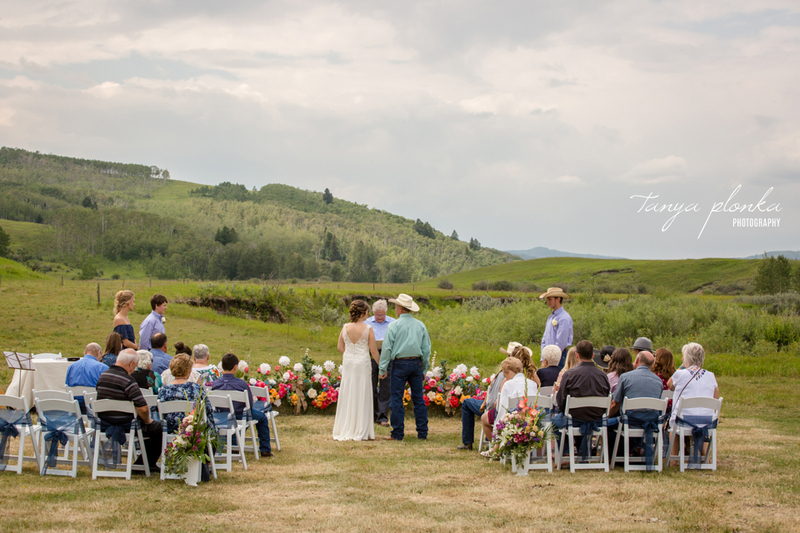 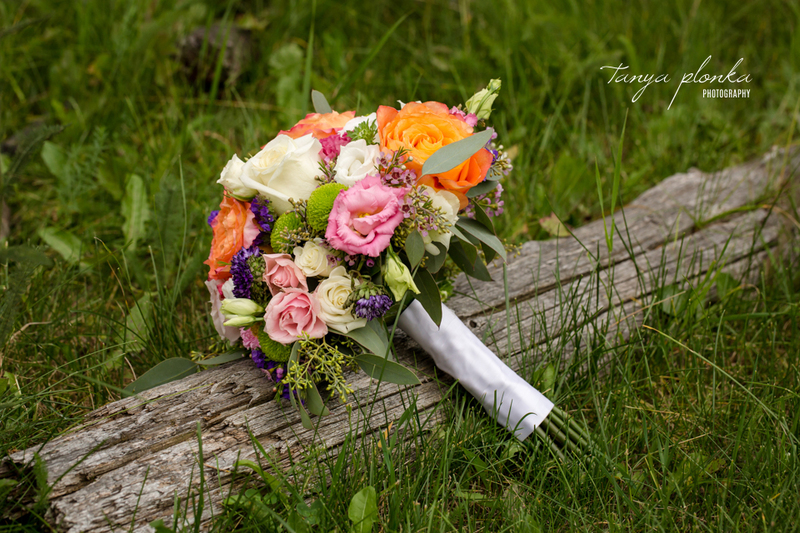 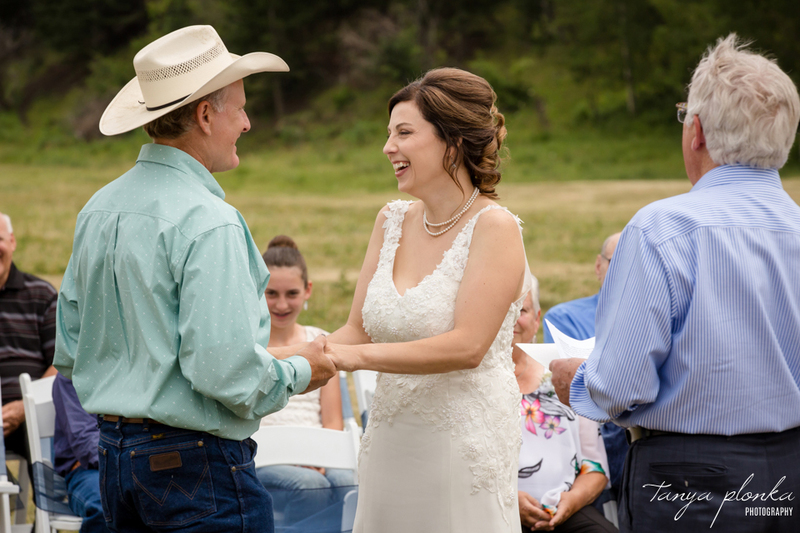 Monica and Dave chose the open field near the treeline to set up their reception tent and scenic ceremony, and invited their closest family members to witness the event. 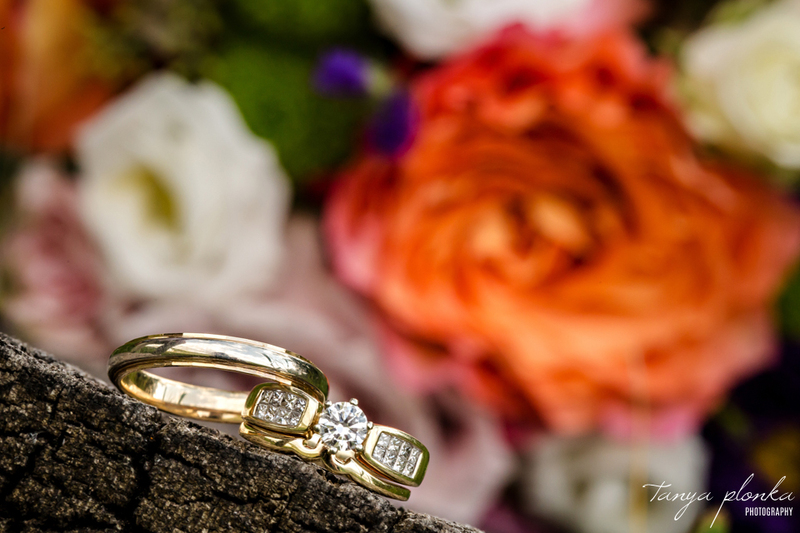 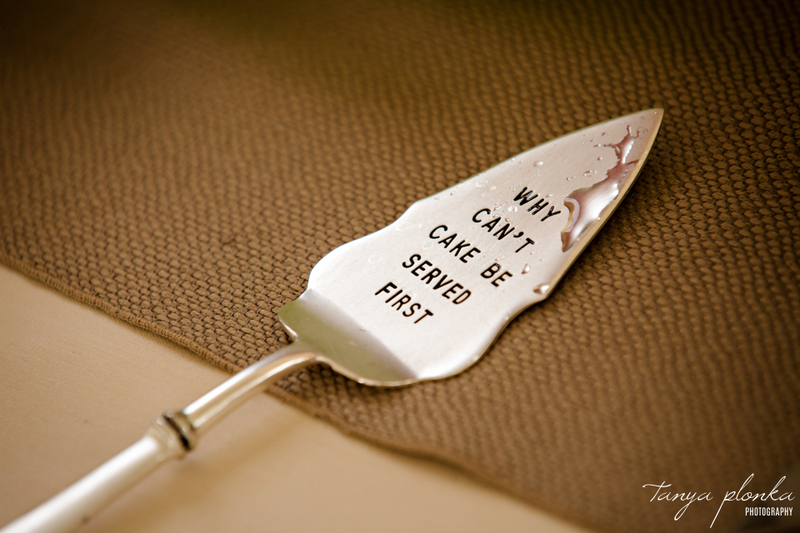 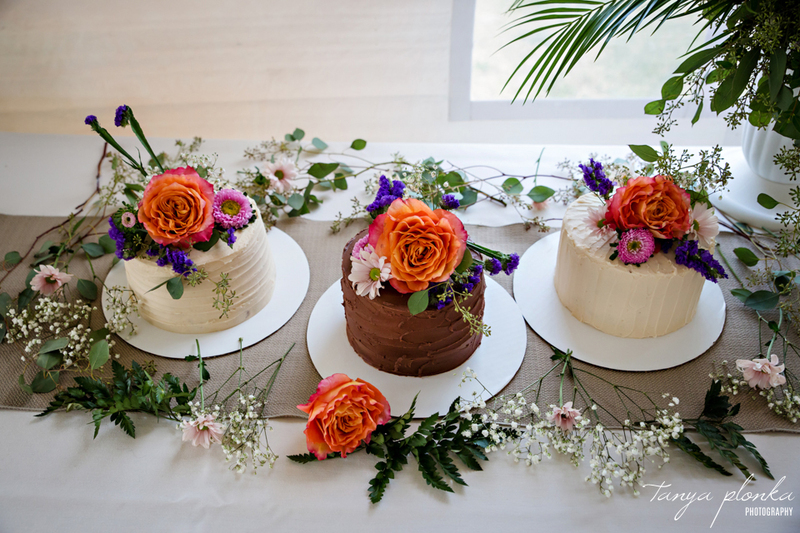 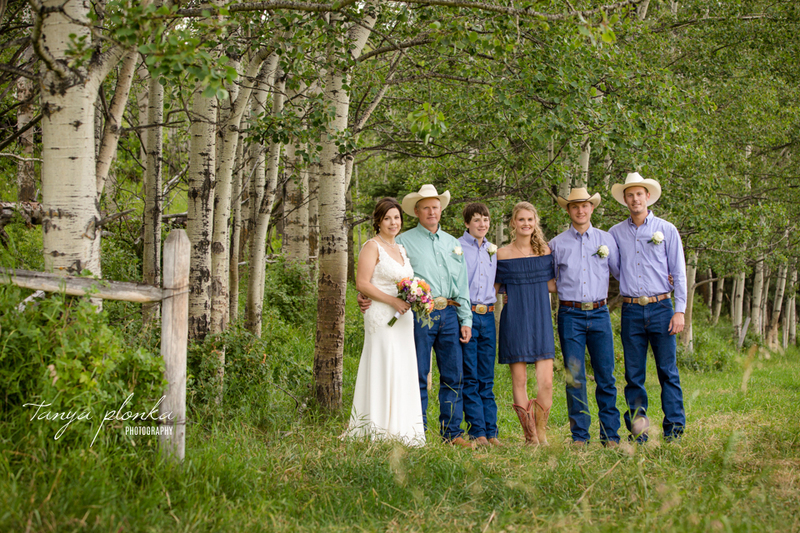 Their children stood with them as their wedding party and all played key roles in the ceremony. 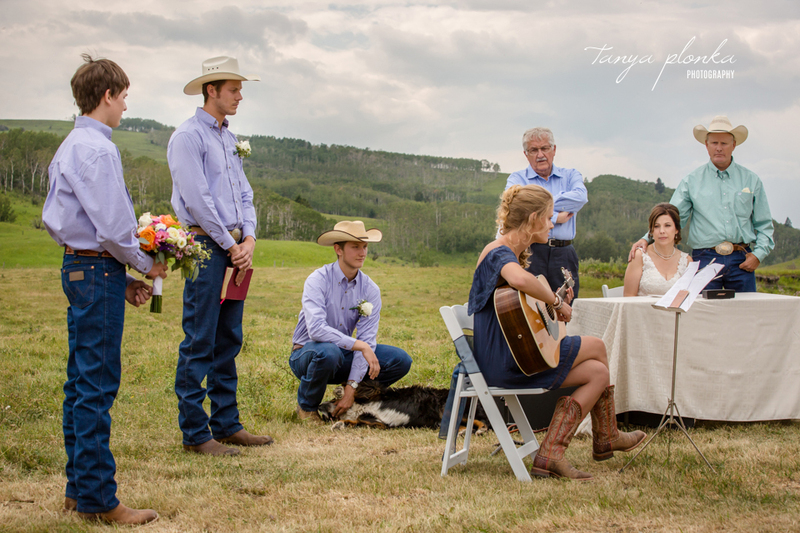 Monica’s son walked her down the aisle, Dave’s two boys read bible passages, and Dave’s daughter played guitar. 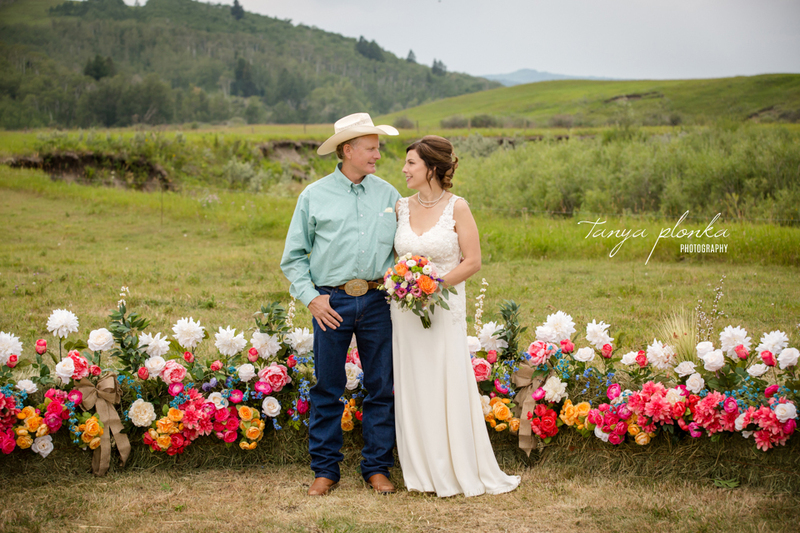 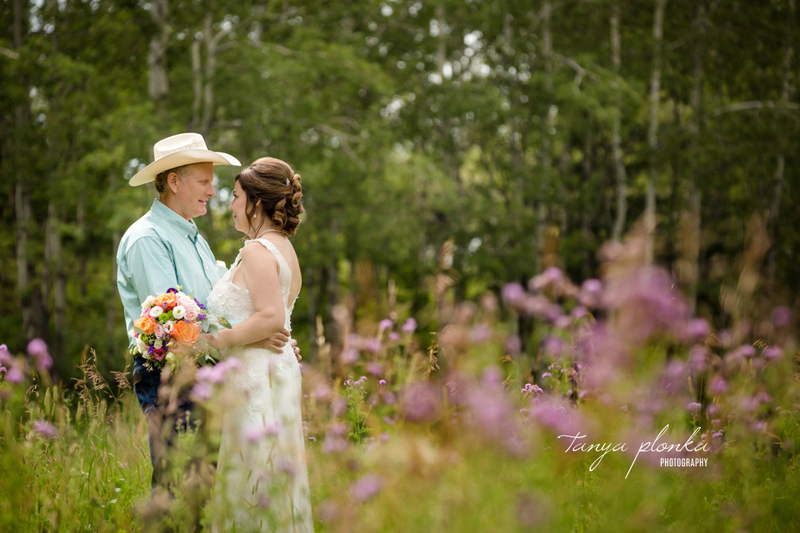 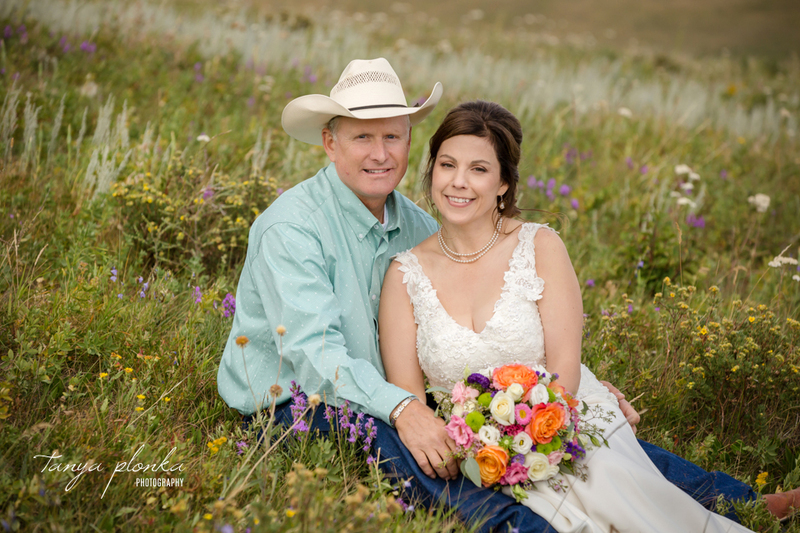 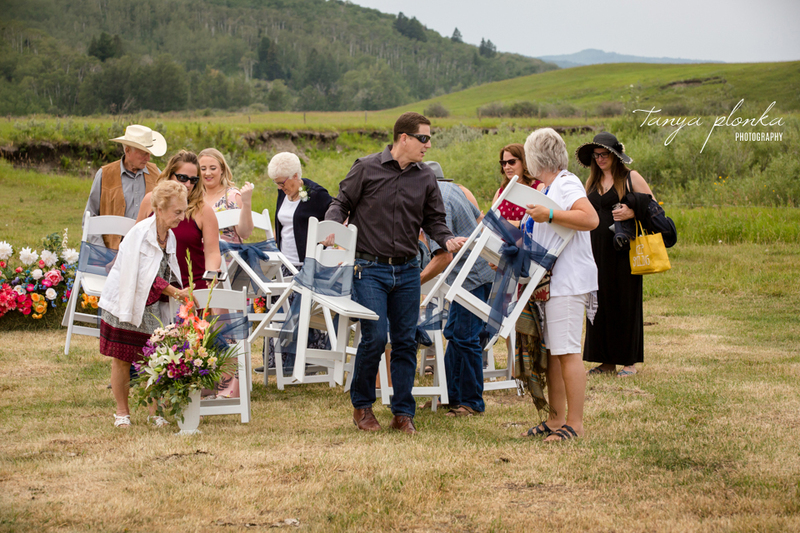 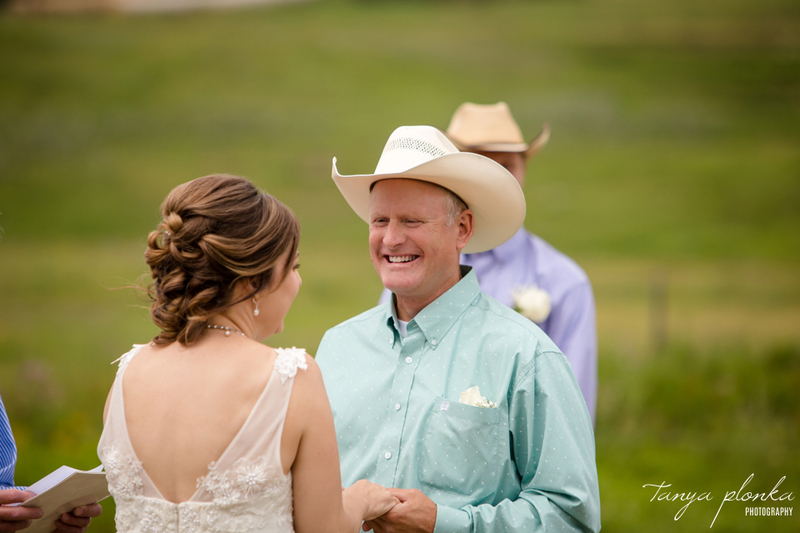 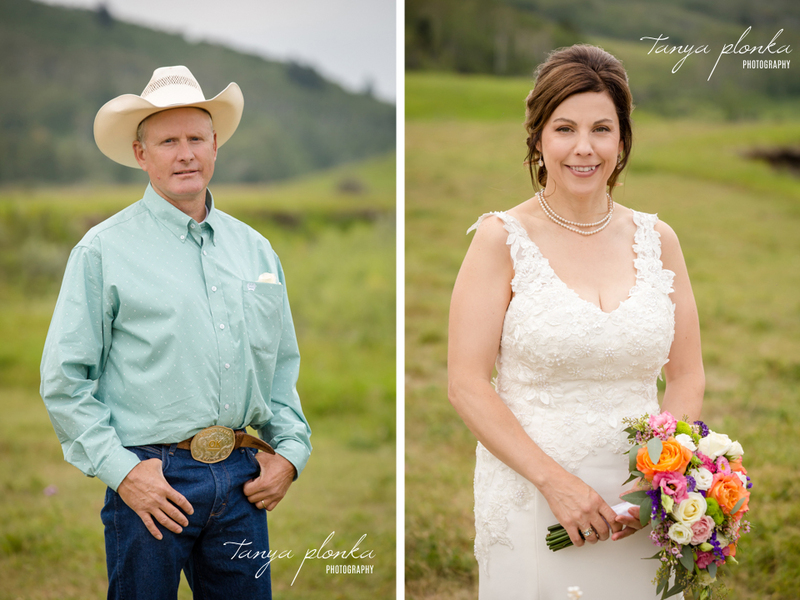 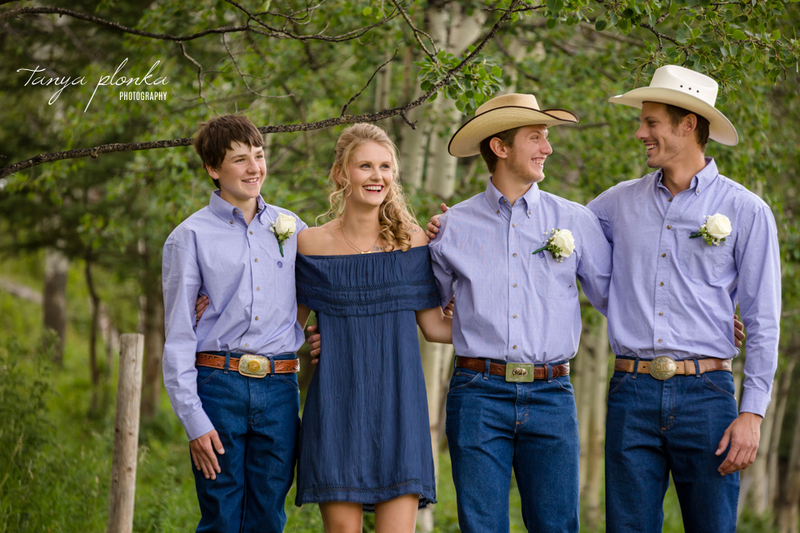 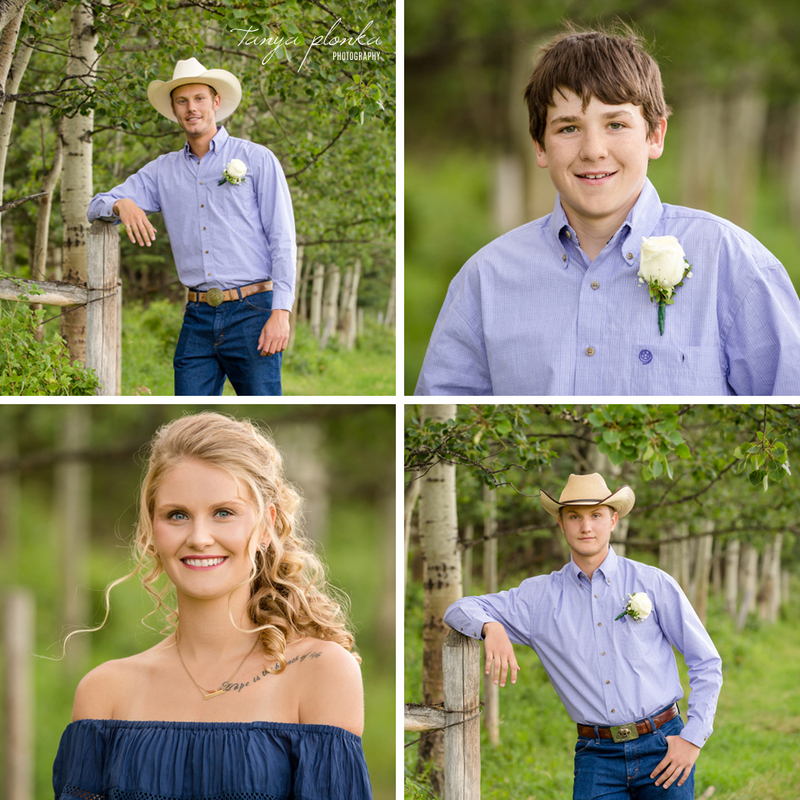 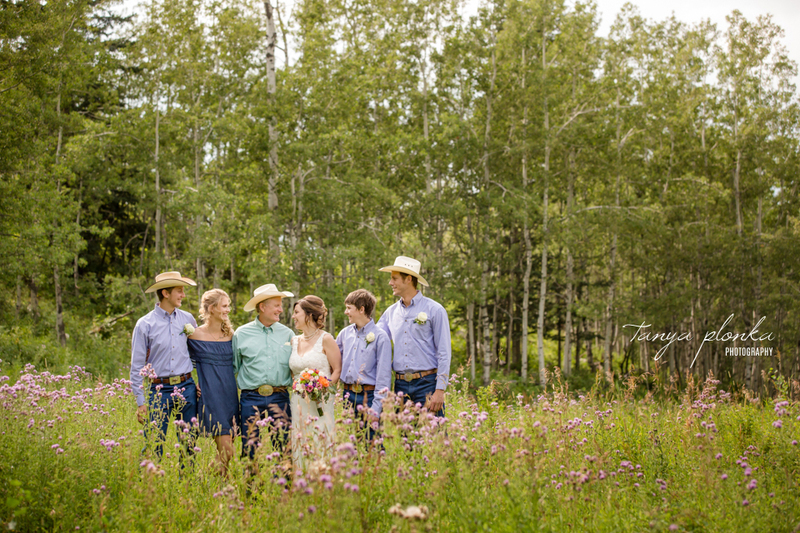 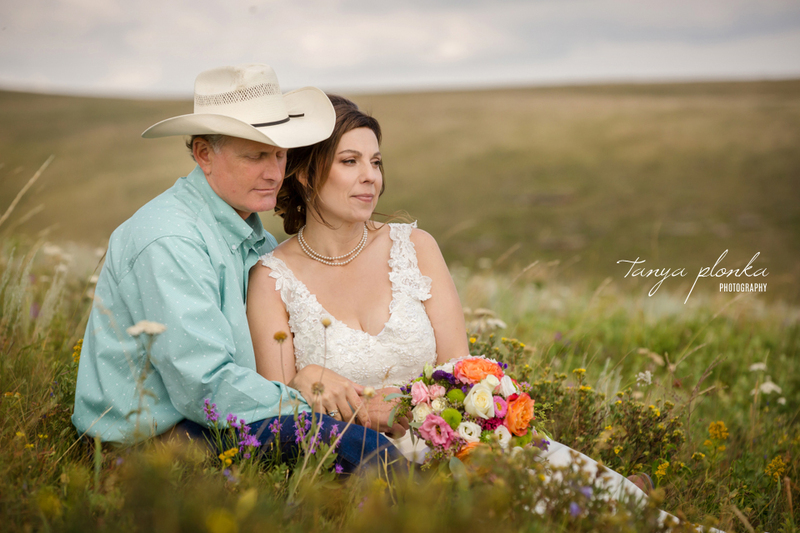 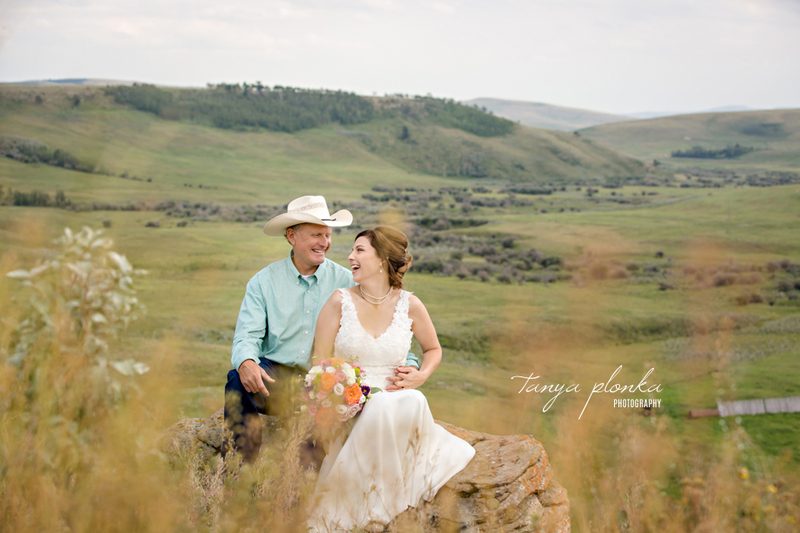 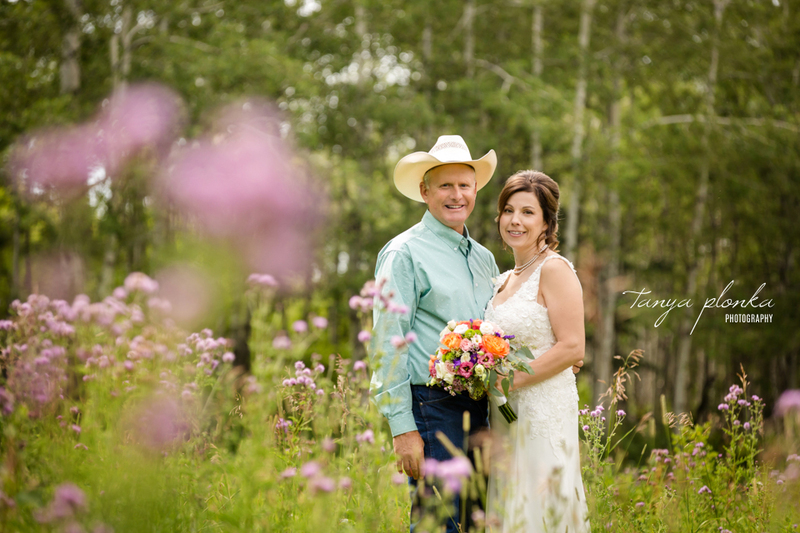 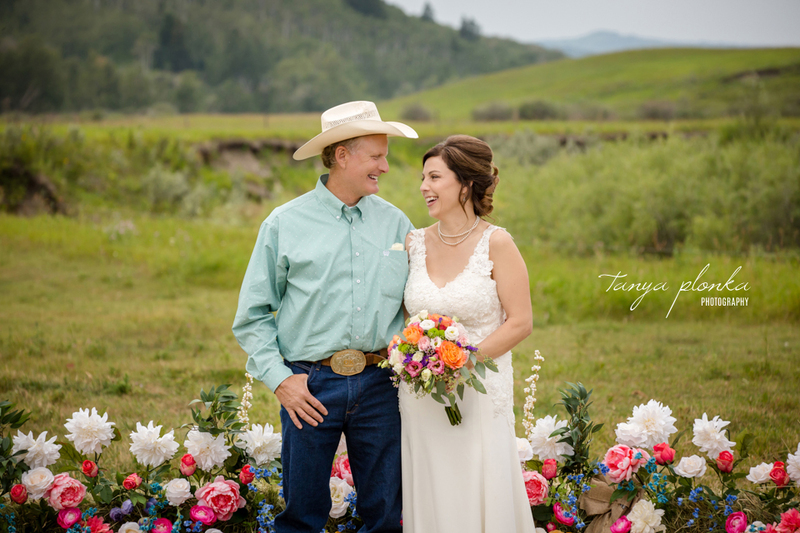 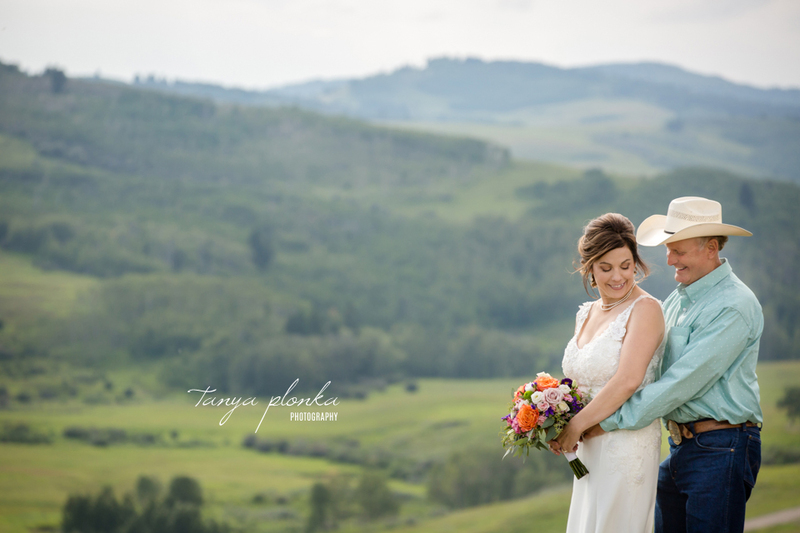 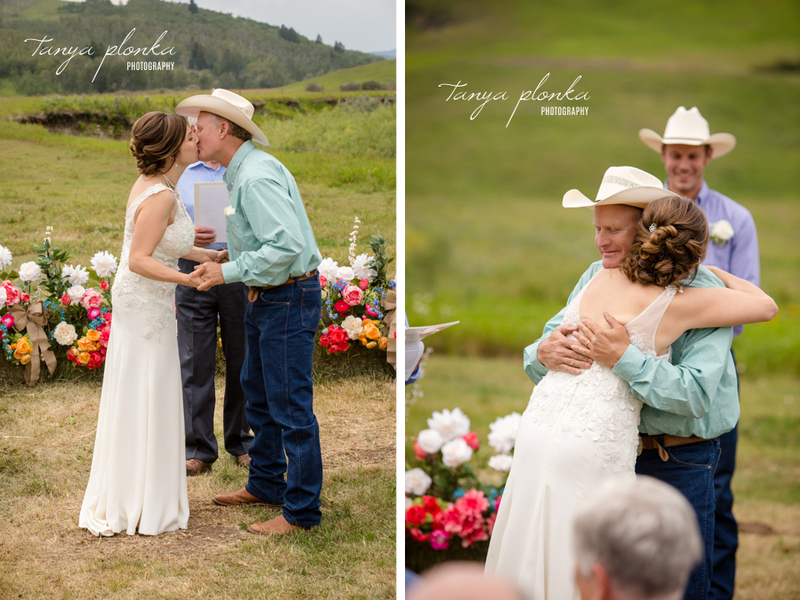 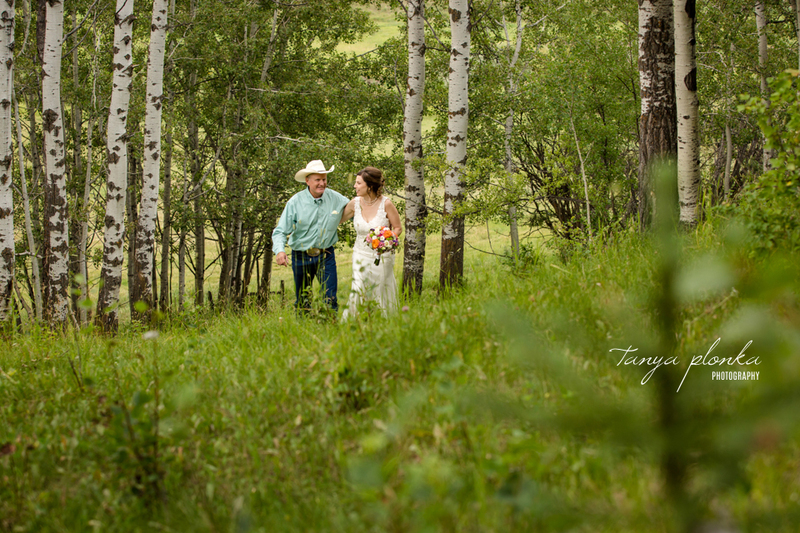 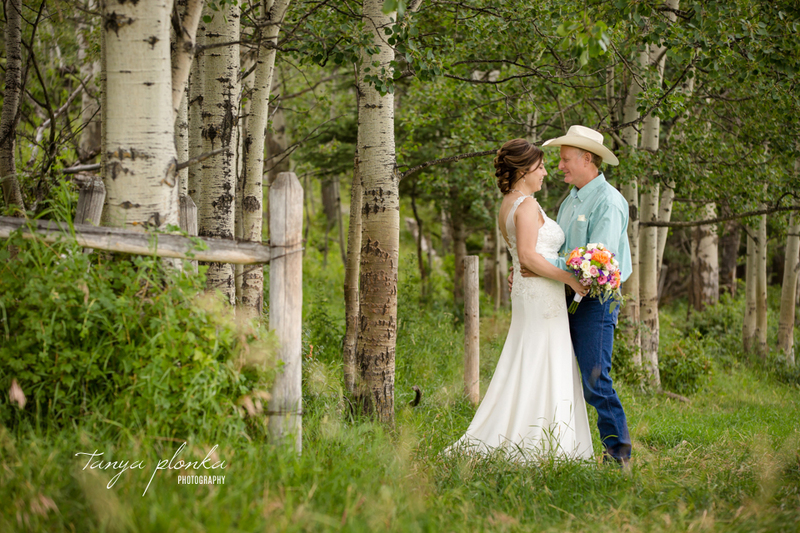 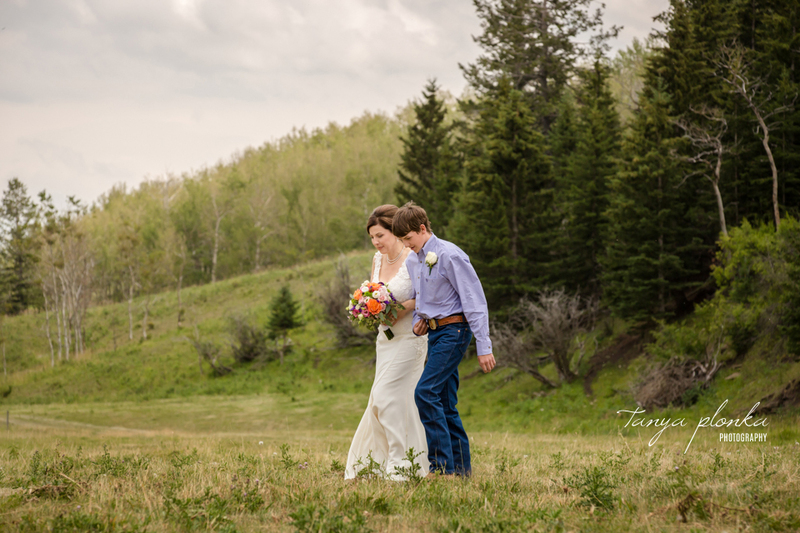 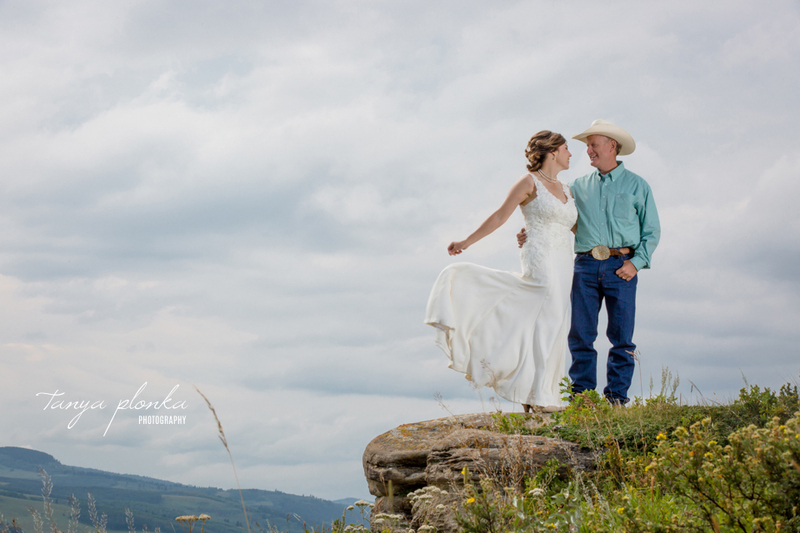 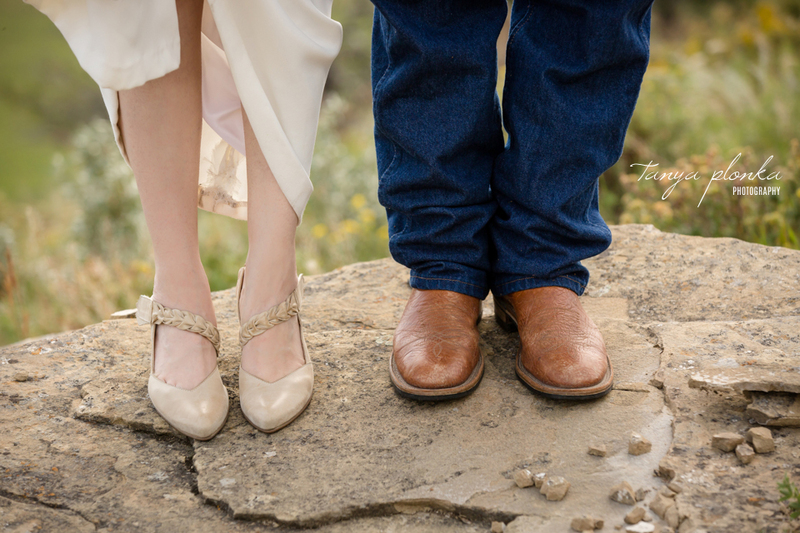 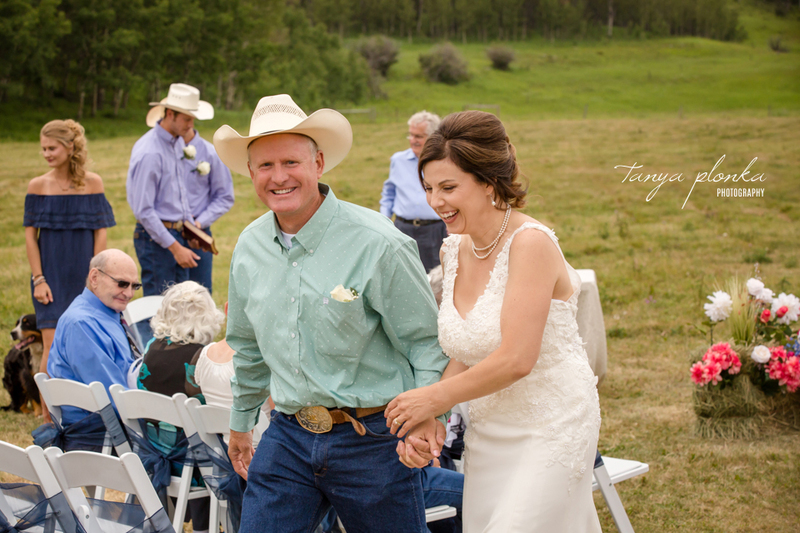 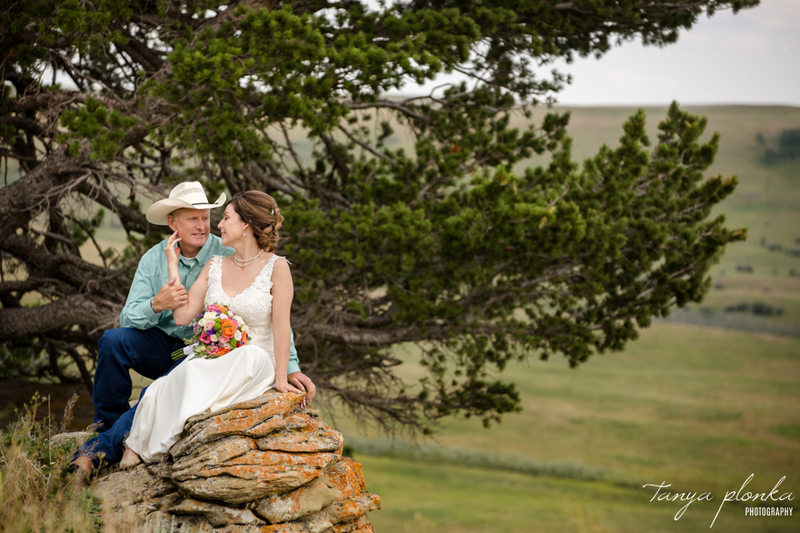 Their guests got to relax while we explored the ranch for photos and took in the amazing views. 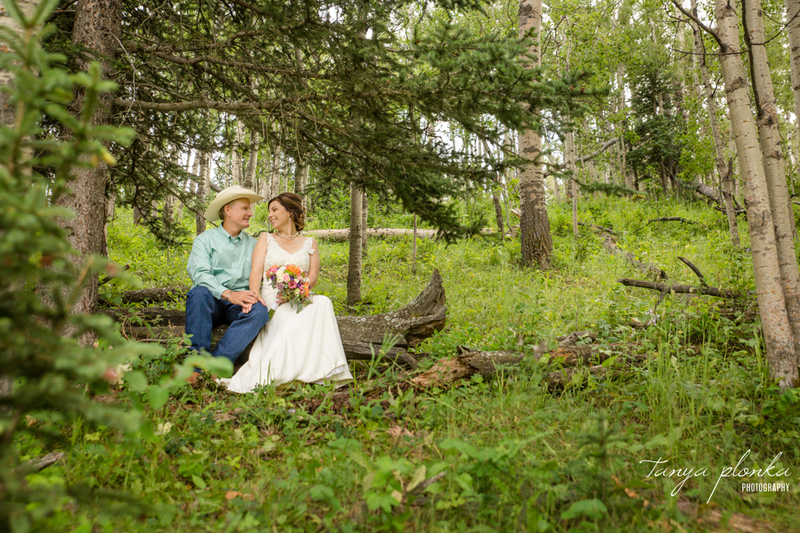 Monica and Dave were even more giggly when they looked at each other than at their engagement session! 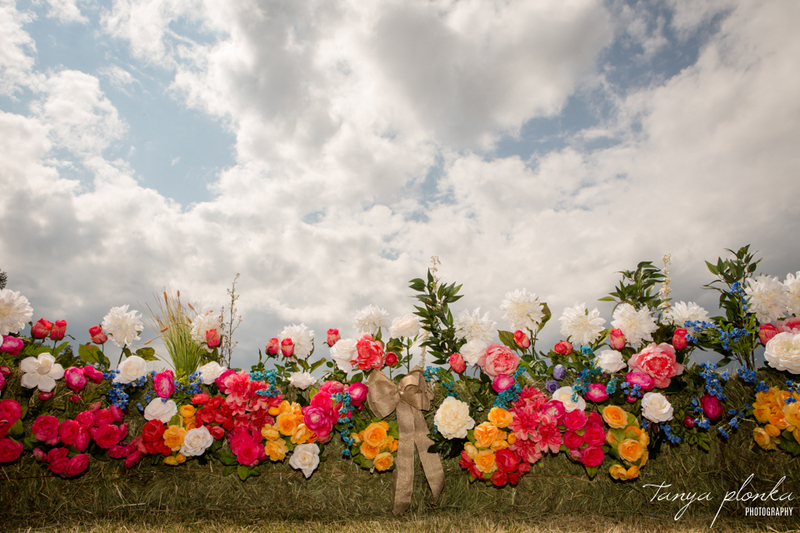 They made this floral and hay bale arrangement themselves (though Dave did most of the work, I was told) as the central focus of the ceremony. 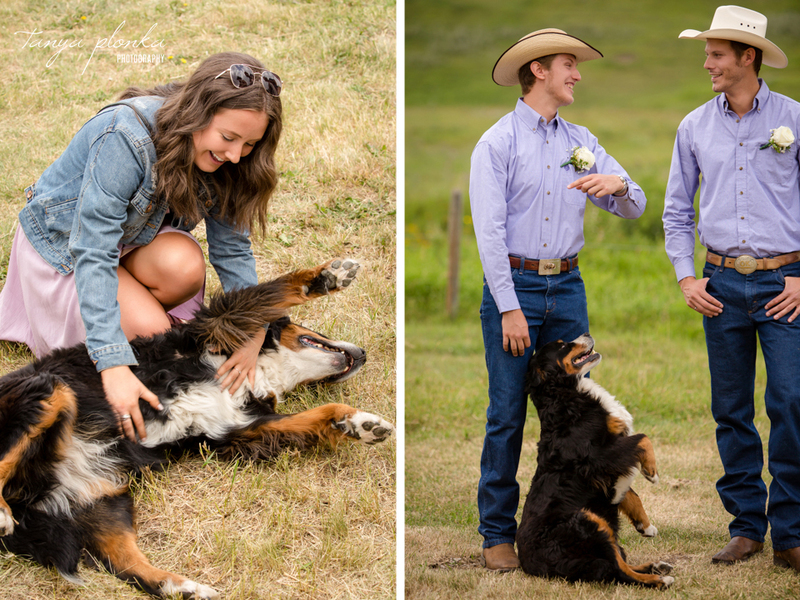 One of their dogs found out where the party was happening and came to partake in the celebrations (and get sooooo many belly rubs). 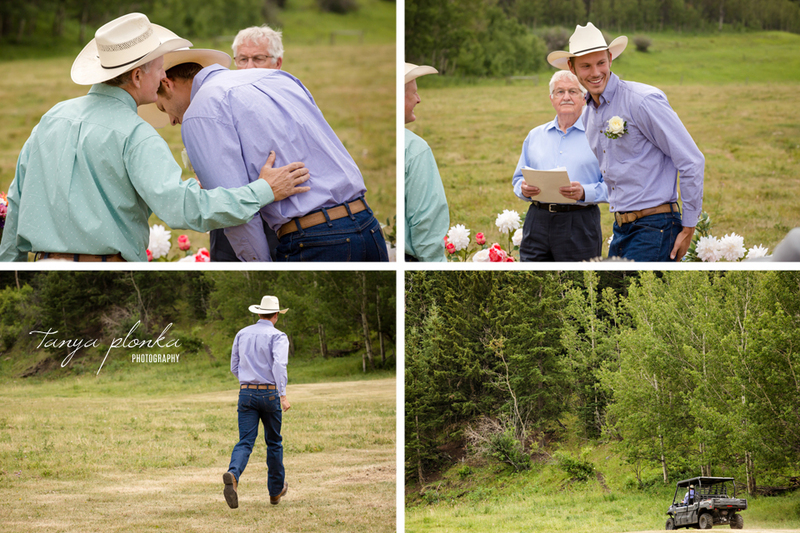 When Dave leaned over and whispered something in his son’s ear during the ceremony, we knew the rings were still back at the house the moment his son started running! 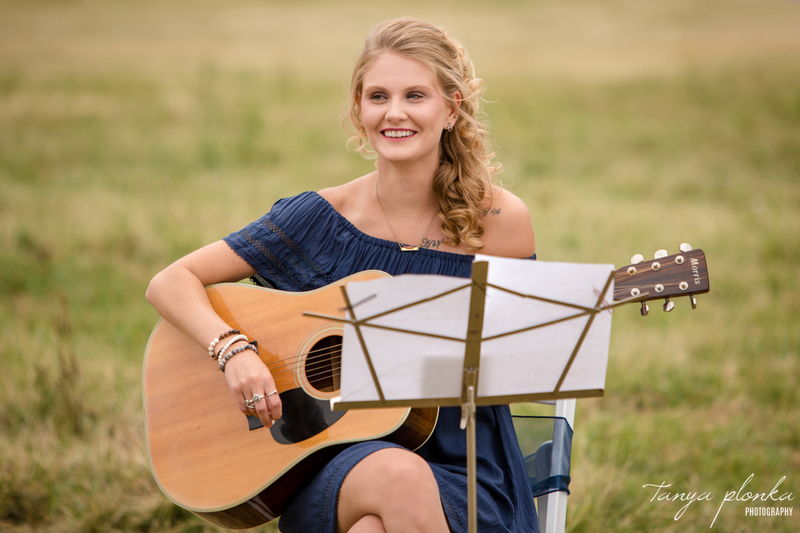 Dave’s daughter performed “It’s Your Love” during the signing. 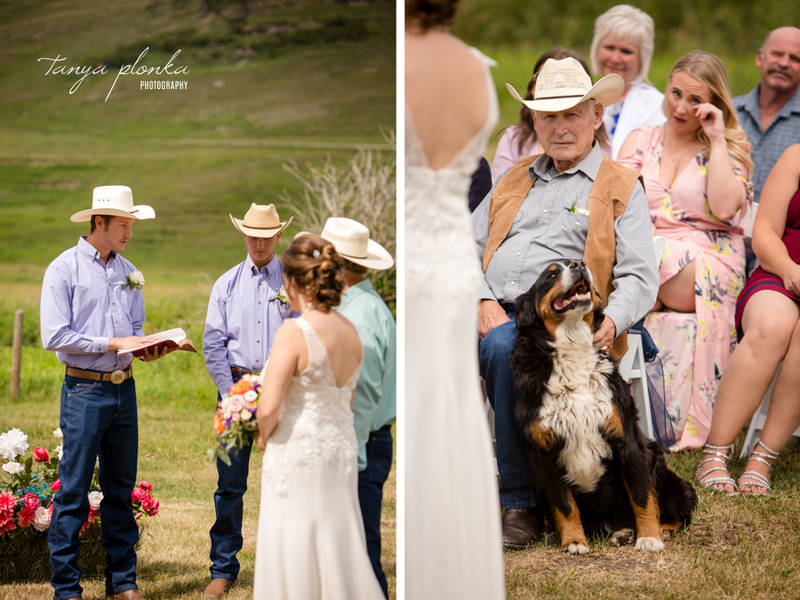 I had a very special (and warm) assistant throughout the first photos! 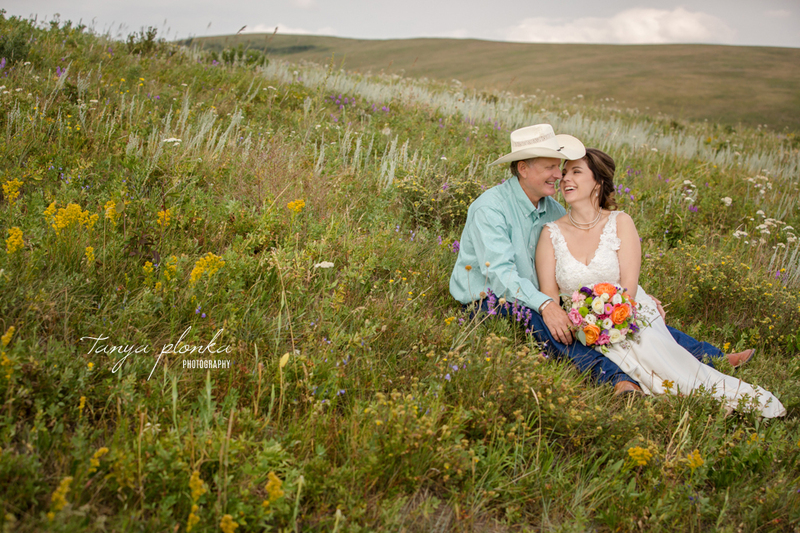 Their ranch has received lots of rain over the summer, so we were pleasantly surprised to discover they still had plenty of wildflowers!